Well this week definitely hasn't been my favorite. Both kids were crazed on Monday (probably because of that dang full moon Tuesday night), I had a million and one things on the to do list, and to top it off I haven’t felt very great all week. Thank goodness for a girls' night out last night! I had the best time with some of my best girls from high school last night and it was so much fun catching up! Friday is finally here and we are all geared up to celebrate our special boy for his big fifth birthday this weekend! But first, some current favorites! A couple of weeks ago, I was approached by one of the contributors from The Blended Blog to see if they could feature one of my fashion pictures on their summer style post. Umm… yes, please! I love those ladies and I love following along with them so I was flattered that they asked. You can see the post here. In case you don't normally follow me, one of my goals for this year was to not repeat an exact outfit all year... I've been taking pictures every day to hold myself accountable, and so far I'm still hanging in there... although it's getting really hard to remember which combinations I've already worn! You can see every single outfit that I've worn this year in the links below. 1 // Black Flutter Sleeve Dress - this is the perfect little black dress... a bit out of my price range, but it's so gorgeous I just had to include it. And this one is even more perfect, but even if I had all the money in the world, I don't think I could bring myself to pay that much for it. Isn't it a beauty, though? 2 // Kate Spade Glitter Studs - I have wanted these in gold glitter and opal glitter for so long. They are so beautiful and that price is nice! 3 // High Neck Dress - Holy comfort, Batman! This looks so loose and cool - exactly what we need down here with this sweltering heat! 4 // Beaded Circle Pendant Necklace - I need this and I need it now. NOW. 5 // Split Neck Tunic - I want this in every color! They have so many! 6 // Cowl Neck Shift Dress - I know this one is very similar to the pink one above, but I love the cowl neck on this one and the black and white stripes. It would be perfect with booties to transition into fall. 7 // Lush Shift Dress - This one has been a popular one in the blogging world and I can see why! It's gorgeous and it's one of my favorites as well. 8 // Brown Leather Belt - I have been needing a new brown belt for quite some time... I could not love this one more! That circle clasp is so unique! Love love love! 9 // Peacoat - I've been wearing the same black peacoat for, like, 15 years. Literally. I think it's safe to say that I got my money's worth and since mine is starting to pill I'm in the market for a new one. I love this one in black and that price is incredible. Jackets are usually so expensive, people! 10 // Off the Shoulder Chambray Dress - Perfect to wear now! Can I go back to the beach again please? 11 // Polka Dot Sweater - Anybody who knows me knows that I wear a lot of polka dots. I. Love. This. Sweater. And I love it in both colors! I don't even know how I would choose which one to get... your thoughts? 12 // Chiffon Tank - Perfect for date night or girls' night out. Love it! And a few fun things for the home, starting with these mugs! - I sure wish the hubs drank coffee! 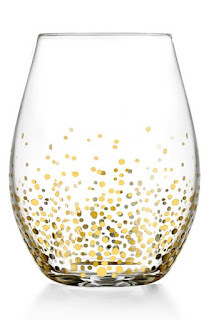 Stemless Wine Glasses - And these right here. OMG. I'm in love with all things gold right now and these are pure perfection. I can just imagine toasting with these at midnight on New Year's Eve. And what a price!! Hobby Lobby has some similar right now, but these are actually cheaper! Casserole Carrier - I always make casseroles for family get togethers and it's always such a pain having to wrap them up in dish towels and potholders to get them there. This is SO COOL and handy. Not a huge fan of the color scheme, though... I wish they had more options! 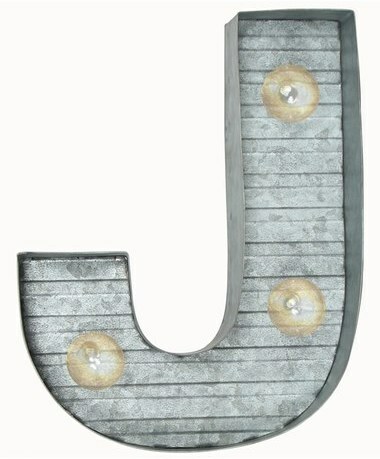 Marquee Letters - I love a good marquee sign/letter/decoration and these are so pretty. 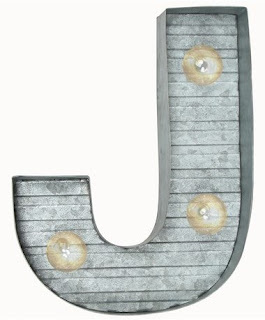 I love the look of the distressed metal... so vintage. Have you purchased anything in the sale yet? This summer has been excruciating. I mean, temps near or past 100 every single day and air so humid that you could take a shower outside without needing the actual shower. Misery. It’s just so hot that we can’t even enjoy our time outside, so we’ve been stuck indoors unless we’re swimming. However, this past week we had a couple of evenings with some (very) brief afternoon showers which resulted in temps dropping by almost twenty degrees. While it was still sticky – because, humidity – it was bearable enough to finally take a couple of walks around our neighborhood after dinner. It felt great to get moving again! I’ve been working out every evening, but there’s not much of a way to do any decent cardio in our house, so these were much needed. 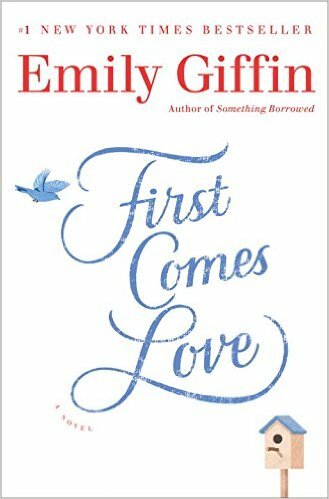 If I had to pick a favorite author of all time, I would have to say Emily Giffin. Something Borrowed and Something Blue are two of my favorite books of all time. Emily is great at developing her characters and her writing style is just easy to read. Love her. She only puts out new books every couple of years, so when I saw that she had a new one coming out in June I was all over it! I’m about three quarters of the way through this one and I’m liking it so far. It’s definitely not as good as her first two, but it is definitely better than her last one. It’s keeping me entertained and I haven't been able to put it down every night. I was trying to find a few new fonts this week, and I came across Bromello on dafont.com. It is so cute, y’all! And it’s free! You're welcome. Yay for girls nights! I'm hosting a Favorite Things Party tomorrow morning with some of my girlfriends, I can't wait! Enjoy celebrating your birthday boy this weekend! So glad you got in some girl time with your crazy week! I love the cowl neck dress - I definitely considered making that purchase! And you know I love the Karly dress! Hope the temps/humidity give you a break this week and you're able to get outside! Yay for girls night!! We were so honored to have you on The Blended Blog Wednesday, it was such a pretty outfit! Stay cool girly and enjoy the weekend!! Thanks, girl! It was truly an honor! I really hope that peacoat comes back in camel so I can get it!! I knew I shouldn't have waited! And I want that cowl neck dress in every color!! So awesome you were featured!! I'll have to check that author out! Love your nsale picks! I am loving swing dresses lately! I keep hearing great things about that book. Love a good read. So many good choices from the NSale - I've been eyeing that cowl next striped dress. It may need to happen! My kids were completely whacked out of their minds on Monday too. It HAS to have been the full moon, right?! Love you NSale picks. Have an awesome weekend! Glad you liked First Comes Love! It is on my to read list. If you love Emily Giffin, I would check out Beth Harbison. They are pretty similar and Beth has quite a few books out! I love Emily Giffin too! I can't wait to read this book! I'm going to have to check out that book. I'm nearing the end of the one I'm currently reading! The temps here have been really hot, too. I love it, but when it comes to running in it? 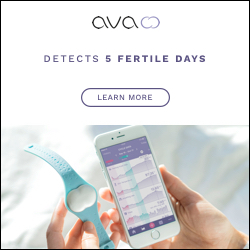 No thank you! Oh NO. I could never run in this. It's horrible. Love the sale picks, so cute. 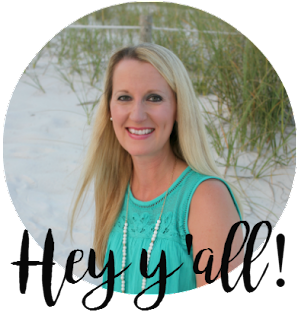 And, nice job being featured on the other blog. Love those posts. I just got First Comes Love from our library. Hope it's good! Happy Friday to you and the family! 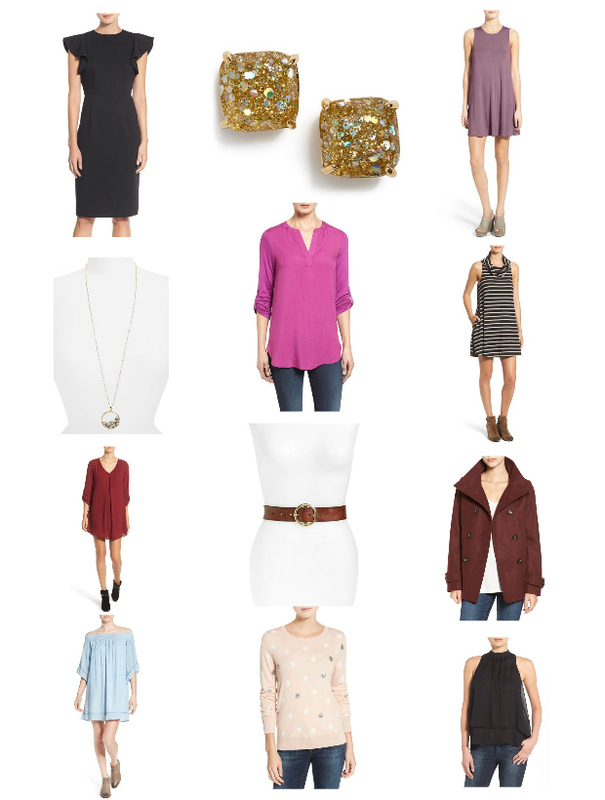 I've been trying to avoid the Nordstrom sale :-) it's hard with all the blog posts because ALL THE THINGS. ahhhh!!! I hope your money tree comes too! 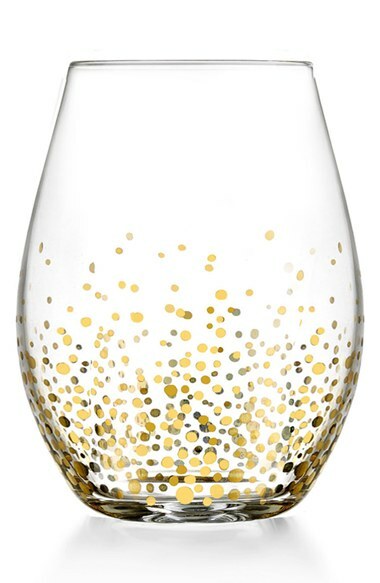 Stemless wine glasses are definitely on my wish list. with littles around, the "topples-easily" stemmed glasses are just not good. I love the gold glitter! PS- your hubby doesn't drink coffee?? Is he normal?? LOL. I've been trying to avoid the sale, but who am I kidding! I have been wanting the same earrings for a long time, so I think the opal ones will have to be mine! I got a casserole carrier recently and I love it! I don't use it a ton, but it's so nice to have handy for when I need to take a hot dish or cake or something somewhere. 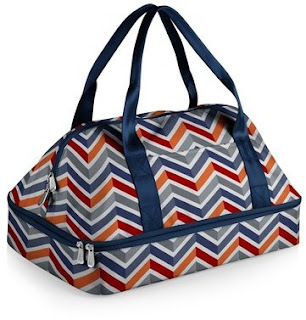 I think my hubby found it on Amazon, you might look there for more color/print options? And yay for a girls night, it's always nice to have some quality time with good friends. I think I need those Kate Spade glitter studs!! Hope you feel better and have a relaxing weekend! Not repeating an outfit all year!? Wow, that takes skills. And I totally haven't hear of this nsale.... now off to the Nordstroms site to take a gander. I love girls nights. So much fun. I want those Kate Spade earrings too. So cute. And those wine glasses. Yes please. 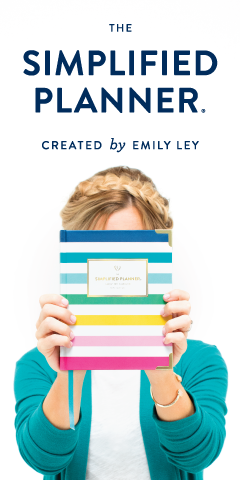 I can't wait to read Emily Giffin's new book either. Gotta get through this other one first. Hope you had a great weekend!